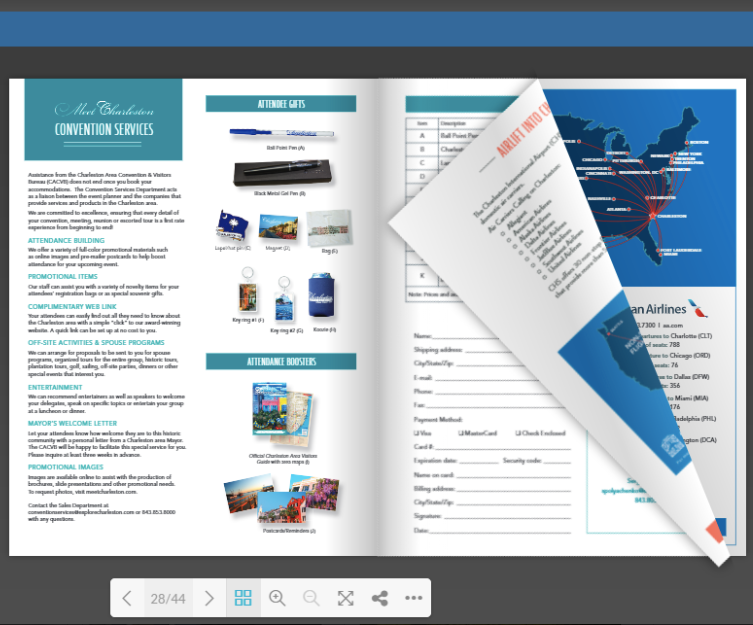 The Bid Book Generator gives destination marketing organizations (DMOs) a set of customized web-based tools for creating beautiful, high-impact, brochure-quality sales kits for conventions, tradeshows and other events. We work with you to review your template, page by page, in order to discover the specific needs of your team. During this phase we emphasize how you can use style, content and permissions to your advantage. If you think of a bid book as a binder, this is the phase where we define the sections and categories the team will be using. Additionally, we'll set up the customizable blocks on each PDF page and add the default content for your team, so they can save time when creating their bid books. Once your template has been created, we'll thoroughly train your sales and admin teams via online meetings on how to use the Bid Book Generator. 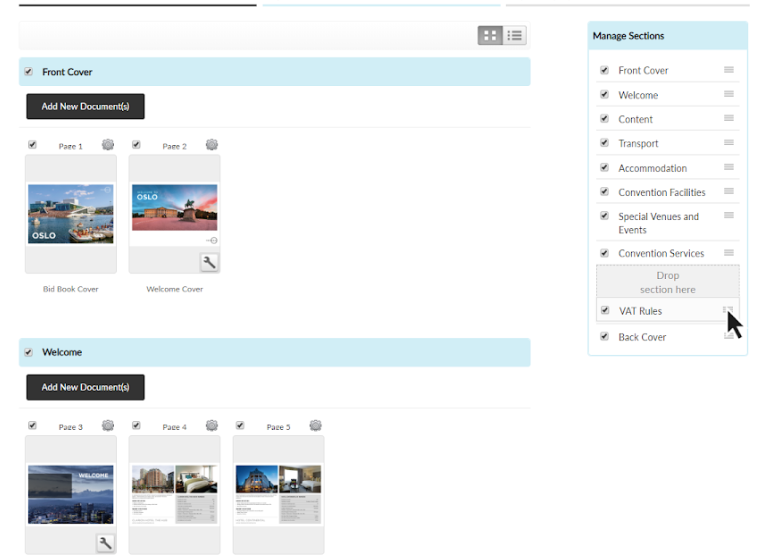 They will learn how to generate bid books by selecting templates, updating copy with easy click-to-edit text, including or excluding content with simple check-box menus, customizing images and uploading important information from member/partners. Because the bid book exports as a link, your team will not have to worry about sending large attachments. With one click, they can access the email portion of the platform and send their bid book to their client. By accessing the power of email tracking, we provide insight into the number of times your client opened your email, the number of times they opened your bid book and the last time they accessed the email. 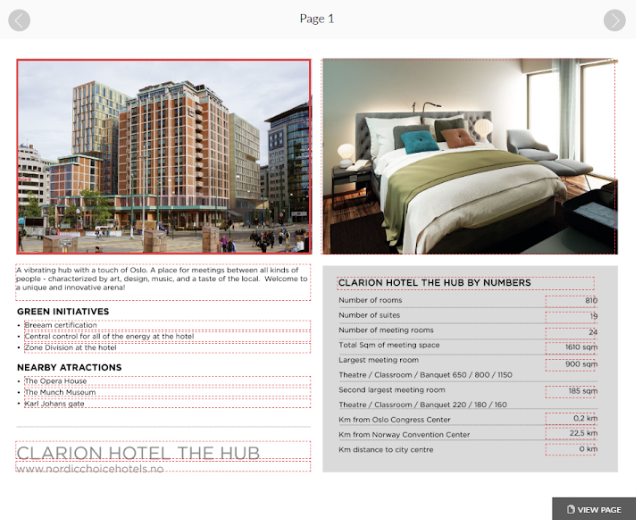 Your team also has the option to send the bid book as an HTML5 Flipbook, a mobile-friendly, engaging option that sets your bid book apart from other destinations.